Know Hialeah Class of 1962 graduates that are NOT on this List? Help us Update the 1962 Class List by adding missing names. Welcome to Medicare ~ Happy 65th Birthday Party! Room Block on Hold Until May 4, 2009; Any reservations requested after May 4th will be on a space available basis. This a lovely 115 room boutique hotel right on the ocean. Rooms will go fast! 5pm to 9pm "Cabanas Beach Side"
Once again....casual and tropical attire! Ocean Front Hospitality Suite Available From 4pm Friday June 5th Through 11am Sunday June 7th! Payment Information to Follow.....Please RSVP Now...Make Payment Later! Go to our class website and register (FREE) to RSVP! 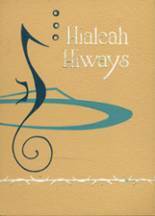 More 1962 alumni from Hialeah HS have posted profiles on Classmates.com®. Click here to register for free at Classmates.com® and view other 1962 alumni. If you are trying to find people that graduated in '62 at Hialeah HS in Hialeah, FL, check the alumni list below that shows the class of 1962.